Information pages about the project, the storyworld and the live-action simulation in SecondLife. We have exciting events planned for the coming year! Some are in-character (IC) roleplay events, while others are out-of-character (OOC) parties or townhalls. Everyone is invited! If you have questions or want to learn more, send us a note via this website or IM Asil Ares in-world. Let’s discuss the state of the project and what we’ve got planned for this year’s Fantasy Faire! Let’s meet in the NeoVictoria Skyclub on Machinima SIM at 5:30 PM, SL-time. Starting 1 March, this is a grid-wide hunt featuring free awesomeness from up to 150 of SL’s most exciting makers. As always, we’ll apply and if accepted, will have a mini-hunt in the skymall! The first of April is a holiday for the demons of the Sidhe empire …the one day a year they can play tricks on the citizenry with little chance of the authorities pressing charges. What will they do this year? Let’s discuss the state of the project! We’ll meet in the NeoVictoria Skyclub on Machinima SIM at 5:30 PM, SL-time. We have a story coming! However, details are under wraps until the Faire is closer! Hopefully the nice people who produce these birthday celebrations will give us a parcel again this year. Look for another great build and gifts! Let’s discuss the state of the project and what we’re going to do for the 9th year anniversary celebrations! 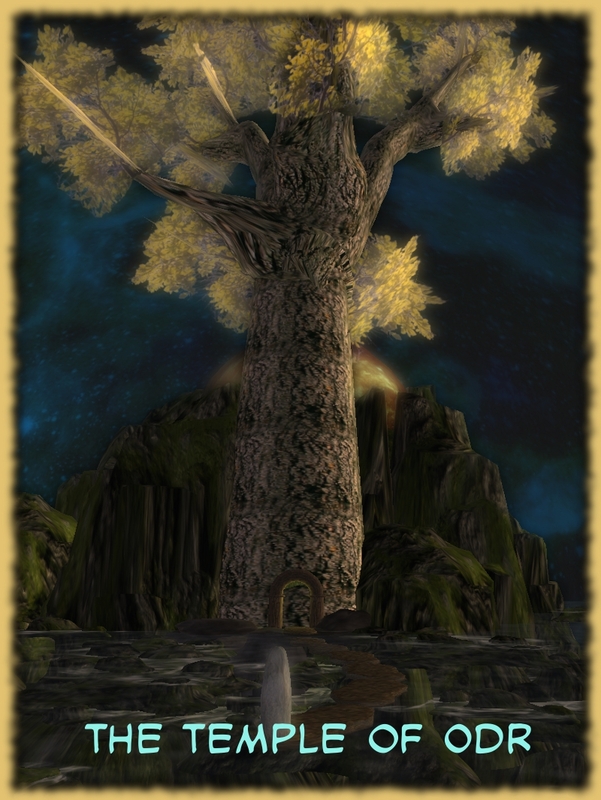 A celebration marking the NeoVictoria Project’s seventh year in Second Life! This live radio event, broadcast on Radio Riel’s Steampunk channel, will celebrate “International Talk Like A Pirate Day”. There will be prizes for best in male and female costumes! Argh!!! Every year we do a special roleplay cycle to celebrate our anniversary. This year, we’ll be NINE years old! Look for four-to-five days of roleplay revolving around something dark and exciting! In association with Radio Riel, NeoVictoria is having a Halloween Costume bash to celebrate one of our favorite holidays. Radio Riel will broadcast the event over their main channel and we’ll have an costume party in the NeoVictoria Skyclub with a steampunk theme. Dress your avatar in scary Steampunk, Victorian, Mecha or Goth style and join us in Machinima SIM. To celebrate the 532st anniversary of Guy Fawkes Day, the city of NeoLondon plans a gala event. Mr. Fawkes was a famous shapeshifter who used his skills to amass gunpowder (and it was rumored there were other fell objects) beneath the parliament building in 1605. In imitation of Guy, don masks, change your shape and hair, disguise your voice (or rp style) and join in the frivolity. Often sponsored by local veteran associations, “Clockwerk Galas” are very popular affairs, serving as fund-raisers and recruitment. The most amazing is held every Fall in Old London on Old Earth, it runs a fortnight with the oldest houses vying to raise the most money with fantastical parties and auctions. The “Royal Clockwerk Ball” closes the festivities; its held in Buckingham Slithen and all the Court attends. Here the most valiant of the year’s warriors are awarded the Sidhe Cross. Some years, we host a photo contest and people create the most extraordinary images! As ever, the contest is about capturing the spirit of NeoVictoria’s roleplay for a 2020 calendar. Our traditional end-of-year IC celebration. As ever, tied to the actual Winter solstice! Lots of roleplay happens that’s not planned, or only planned a week in advance, so join our in-world group or public announcer for as-it-happens alerts! The Second Life Birthday Celebration starts this Sunday! Come and join in the celebration …SecondLife is fifteen years old! Everyone is invited! If you have questions or want to learn more, send us a note off this website or IM Asil Ares in-world. Let’s discuss the state of the project and what we’ve got planned for FFaire this year! Let’s meet in the NeoVictoria Skyclub on Machinima SIM at 5 PM, SL-time. Starting 1 March, this is a grid-wide hunt featuring free awesomeness from up to 150 of SL’s most exciting makers. We’ve applied, and if accepted, will have a mini-hunt in a secret location! The roleplay groups who create roleplay stories for the faire will be having a party to kick the faire off. Details will follow! We have a superb story coming for you! However, we’ll need to keep the wraps on until the Faire is closer! A summer IC celebration. Let’s start a new tradition! As ever, tied to the actual Summer solstice. Fun free gifts hidden throughout the skylevel. Let’s discuss the state of the project and what we’re going to do for the 7th year anniversary celebrations! Every year we do a special roleplay cycle to celebrate our anniversary. This year, we’ll be SEVEN years old! Look for four-to-five days of roleplay revolving around something dark and exciting! To celebrate the 529th anniversary of Guy Fawkes Day, the city of NeoLondon plans a gala event. Mr. Fawkes was a famous shapeshifter who used his skills to amass gunpowder (and it was rumored there were other fell objects) beneath the parliament building in 1605. In imitation of Guy, don masks, change your shape and hair, disguise your voice (or rp style) and join in the frivolity. Every year, we host a photo contest and every year, people create the most extraordinary images! As ever, the contest is about capturing the spirit of NeoVictoria’s roleplay for a 2018 calendar. Since April 2013, we’ve used a roleplay tool, created by jade2022 kaligawa. It was a wonderful tool-set when we transitioned away from the Community Combat System (CCS), and really helped the project to thrive. However, in April 2015, the developer had to take their personal server off-line; the loss of the server meant some of the admin functions stopped working. It became clear a tool that worked entirely within SL was needed. Announcing the NeoVictoria Roleplay Tool (NRT)! We’ve developed a simple free wearable object called the “NeoVictoria Roleplay Tool (NRT)” which allows the player to create unique names for their characters, offers chat-options in terms of what other players can see when that character speaks, and includes a variety of dice. This tool was developed by the members of the NeoVictoria Roleplay Group and scripted by Jhaesoph Foxdale. The object is copy/transfer, and may be acquired by touching the many giver-objects we have staged throughout the Skymall on Machinima SIM, and the Visitor Center on NeoVictoria SIM. Here’s the link to the complete User’s Guide. 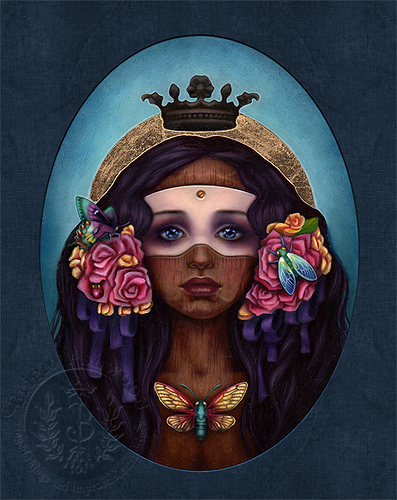 The NeoVictoria Project presents “The Bewitched Carnival”. Five evenings of non-stop roleplay, celebrating the NeoVictoria Project’s fifth year in Second Life! This series of roleplay events begins on Monday, 21 September 2015, with a harvest festival that will feature a traveling carnival of the mostly-dead, and a very traditional wickerman. Everyone is invited to roleplay with us! In NeoVictoria, we do free-form dark roleplay. Free-form means there is no script; scenes evolve out of real-time character interactions. Dark roleplay means characters may act in aggressive, predatory, criminal and/or plain uncomfortable ways. We use a simple dice-based wearable HUD called the Jade Kreations Role Play Tool Suite; avatars must wear this to see the roleplay chat. The item is free and available in our Visitor Center, various locations on our out-of-character skymall, and the SecondLife Marketplace. 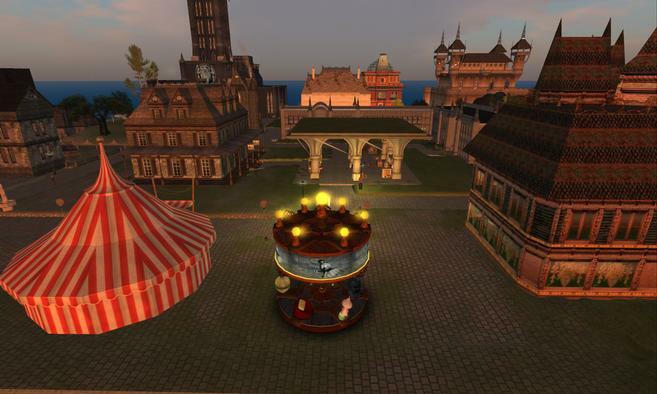 Event Description: The NeoLondoners, and any out-of-town visitors, gather in the town’s marketplace (newly outfitted) to enjoy harvest festival activities. The evening ends with a haunted hearse tour, led by one of our citizens. Event Description: The NeoLondoners, and any out-of-town visitors, gather in the town’s marketplace (newly outfitted) to enjoy harvest festival activities. The evening ends with the arrival of the Bewitched Carnival (a troupe of zombies led by a mysterious ringmaster). Event Description: The NeoLondoners, and any out-of-town visitors, gather in the town’s marketplace to enjoy an evening of entertainments, performed by the zombie members of the “Carnival of the Bewitched”. Event Description: The NeoLondoners, and any out-of-town visitors, gather in the town’s marketplace to enjoy an evening of entertainments, performed by the zombie members of the carnival. Event Description: Doctor Seito performs a séance and discovers a disturbing secret about the ringmaster that leads to ancient justice. Art for “The Bewitched Carnival”. 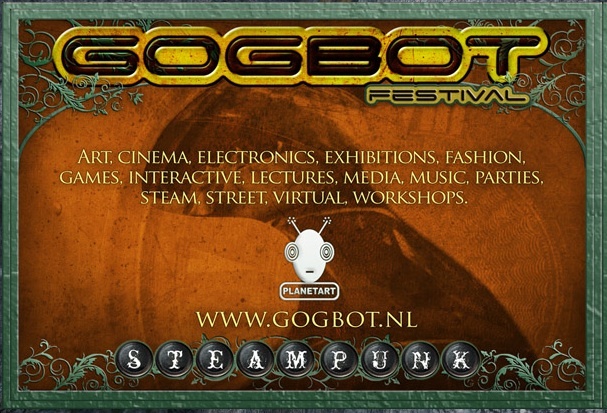 Back in 2008, the GOGBOT Festival focused on Steampunk, and for their website Bruce Sterling wrote a landmark thought-piece on what Steampunk is. 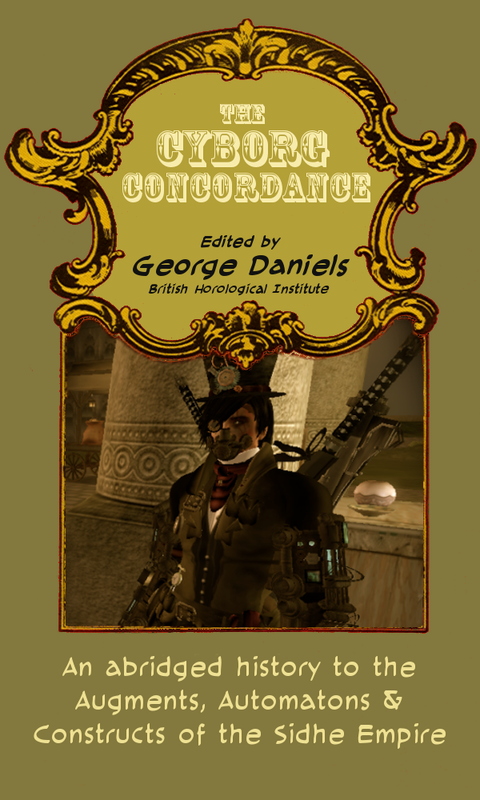 GOGBOT recently took their 2008 site off-line, which was a loss to the project, as we would direct people to that essay when they asked us “what kind of Steampunk” we believed in. So, we reached out to Professor Sterling for permission to re-post it here. And, very graciously, he gave us the nod. Thank you, Professor! The past is a kind of future that has already happened. 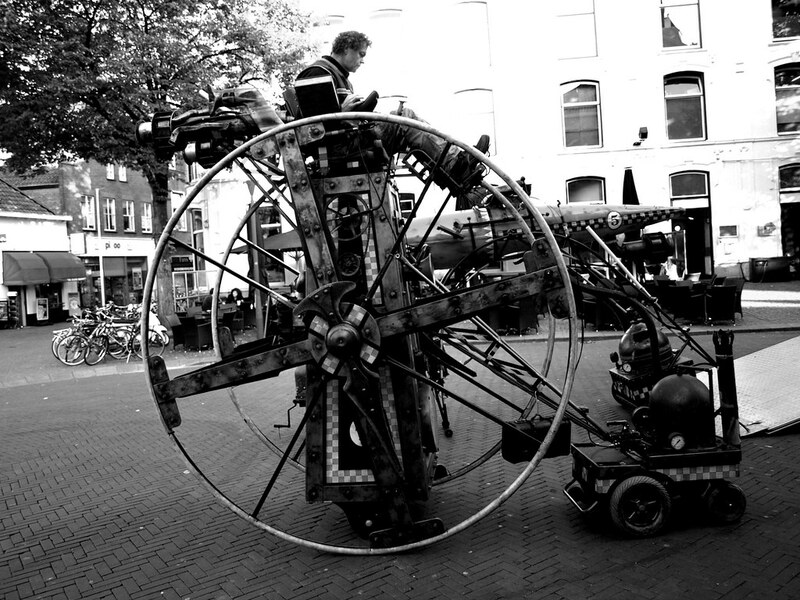 Cyril Wermers’ photo of ‘The Time Cruiser’ from GOGBOT 2008. We don’t rent PRIMs in NeoLondon [NeoVictoria SIM]. We do rent ROLEPLAY homes in Machinima SIM! To read all the information about rentals, visit the Rental Information page.